Pastor Andy Deane's new book teaches you forty different step-by-step Bible study methods to help you discover, apply and enjoy God’s Word. Each practical method has a handwritten example to demonstrate it and make it easy for you to follow the steps. Learn how to study the Bible with so much variety that you'll never get into the rut that routine brings ever again. 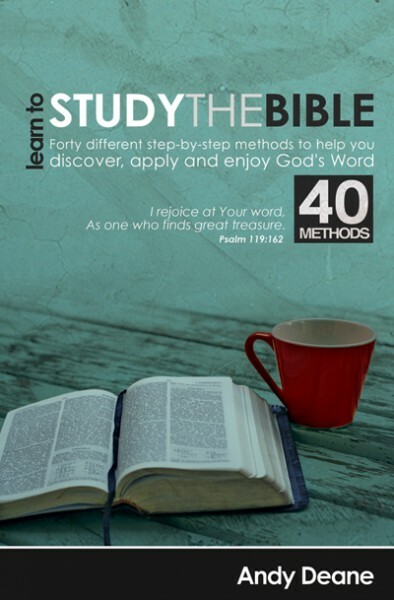 Learn to Study the Bible has more Bible study methods (40) than any other book out there! So if you want to learn Bible study methods that work then this is the book for you.